Cuts at U13? Are we stupid? There is a reality in club soccer. You pay a lot to be there and we drive 90 minutes to some games. We are only allowed to make substitutions on goal kicks and goals and at U12/13 on a big field neither comes frequently. Having a big roster is great for keeping a lot of players involved and developing, but it's tough getting them all into games. Parents count minutes during games and we want to keep the kids involved. But when I think about tryouts up to U13, I wonder how stupid we are being. Young players change so much (physically) up to U13 that you have to wonder how many players of high potential we've discarded over the years. Not only soccer, but every sport. The change in a young athlete is not only year to year, but sometimes the player you picked in February is not the same kid in October. I've watched U9 travel level games where both teams were probably picked via tryouts, and not one of the players can properly strike a ball or control a ball effectively. So what were tryouts about? Our young players are not ready to be graded and classified yet. If you have tryouts for U9 and the majority of players aren't ready, how do you pick a team for travel soccer? How do we figure out who's better at U12? While players are growing and changing at alarming rates, how do we determine which players will still be the best 15/16 players in October? If we are unsure who is better or going to be better at U12, and we are concerned with the long term good of the sport and player, are we not better off training BOTH players until they've passed the awkwardly physical years. We have 2 teams at the travel level for U13 in Welland, so 28-32 boys will end up playing travel level soccer instead of 14-16, but it doesn't solve the bigger problem. I guess I am drilling to the root of LTPD with respect to more widespread development at the younger age groups. Well, we posted a new list of boys who are invited to continue trying out for summer 2012. Our next step is to determine who from this list of 32 will stay with the program and subsequently be allocated to either the first or second team. 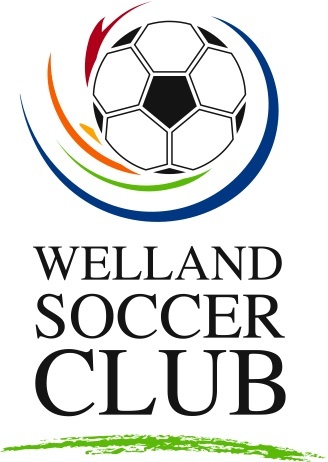 We had our 4th tryout session tonight on the Welland SC indoor field. Last week's cancellation means an extra session added before we do the first releases. Getting the ball forward quickly has always been a problem. The last 2 sessions we worked on penetrating passes. Today we worked on running with the ball. Again, with the big group we kept it simple and organized. We setup a laneway with cones roughly 40yds long and 5 yds wide. After a short running warm-up we gave half of the boys a ball. They ran the lane with the ball and the other boys took off 2 seconds after trying to catch them. I had the boys widen the lane way a bit to accommodate the number of players. We then littered the laneway with the boys' backpacks to create a sort of obstacle course. We challenged them to take on the laneway at full pace using all parts of the foot to steer the ball through. There was also the added traffic of all the other players. We sent the boys off 13 at a time. Our functional portion involved 3v3 games where you can only progress forward by dribbling and passes can only go backwards. it took a little bit for the boys to develop a tactic for success. The supporting shape of the other 2 players was very important for this game. We then let them play a game reminding them of getting the ball up quickly, by way of pass or dribbling. The session went well in my opinion. I was in a decent mood and things felt good from the start. I started the session alone (no assistance) and some of the kids were still hyped up from school so their was a bit of restlessness in the very early going but it all settled down. 2 of the assistants showed up about 5:15ish. I continue to be content with how the boys are working and listening. You always try to remember to limit the coaching a bit during tryouts so the players can show you their stuff. With so many boys out, you don't want to over coach. How much feedback should we give? The answer to this question separates good coaches from not-so-good coaches. I like to think about feedback once in a while to remind myself of good habits. If /when you provide feedback you have to consider the timeliness, usefulness and purpose of what you say. One thing is for sure: if your feedback is not intended to make the player better then keep it to yourself. A player knows if he caused a goal against. So instead of yelling "You caused that goal!" be a coach and have him replay in his head what he might try next time. The former is meant to make you feel better, the latter will help the player. When used properly, feedback not only makes your players better, it also serves as motivation for them to be better. There is not a player in this world who doesn't appreciate useful information and respect. If the feedback creates an environment of collaboration to make the player better the results will be noticeable and rewarding. Let the players play. Choose your moments to coach and make sure the moments are timely. If you over-coach and keep stopping the play, your voice turns into background noise and you kill the flow of the session. Know your audience. Is your tone of voice and content of your feedback appropriate? Are you using feedback suitable for a U17 professional academy player on a U16 recreational player? Are you coaching teenagers in a co-ed camp with potential for embarrassment? Are you talking to the best player on your team or a weaker player looking for a boost in confidence? What mood are you in? One session last year I was in a sour mood and when I realized I was getting a little too sarcastic I set up a small sided game, sat on the side next to a dad and cheered. I stopped coaching, but the players kept playing and enjoyed themselves. Your players don't care if you had a bad day at work, they came to play and enjoy themselves, regardless of the level. When you are planning your session make sure you list your coaching points. Your feedback should be based around your coaching points and keep the intended theme of your session focused. Coach what you see. Give feedback on what you see and what happens. Don't make things up for the sake of coaching. The kids want to play. If they are not making mistakes, let them play. Observe/Identify/Demonstrate/Rehearse/Restart. When you see something that needs to be addressed stop the play right there and then. Step in, demonstrate how they should do it, let them try it themselves with no pressure, then restart the game. No jargon. Use the proper language associated with the task and age group. No clichés or inside jokes. The feedback must be useful to everybody if the entire team is the audience. Restart methods. If it's a drill, that's easy... just start the drill over. If you're in a game what you need to get the ball back to that player. Get everybody back in their positions when you stopped. Let's say, for example, John on the red team is the player you wanted to correct when you stopped the play. Tell the group nobody moves until John touches the ball, then pass the ball to his opponent and he will pass the ball to John and the game begins on John's first touch. No need to always stop. Feedback does not always have to be saved for stoppages. You can quietly cruise the play area and pass on information "John, make sure you open up when the ball comes, Lou is open all the time" or "Tara, remember to use your keeper as support if you are forced to turn with the ball". Timely and appropriate feedback is an art form that takes practice. If you need help with it, find a licensed coach for guidance. Most of what we were assessed on revolves around the timeliness, delivery and usefulness of our information.